Party in the Park with 96.3 Radio Aire and Leeds City Council is back again and Temple Newsham is set to play host to the best line-up yet. Taking place on Sunday 28th July the first acts have started to be announced and we couldn't be more excited. 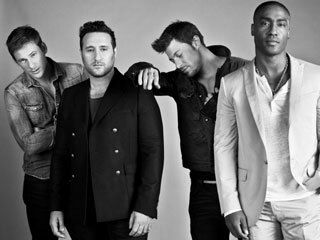 Having been one of the biggest boybands of the 00s Blue called it a day a few years ago. However, they are back and better than ever. TV show "The Big Reunion" saw the four-piece reform much to public demand and it is safe to say that Party In The Park wouldn't be the same without them. With a new album released this year, "Roulette", Blue are going nowhere and we can't wait to see them again! Three piece girl band Stooshe have had a string of infectious singles and have taken the UK charts by storm. The "Black Heart" singers are no strangers to Party In The Park having played last year and we are in no doubt that their set will be even better. With the new single "Slip" as infectious as their previous hits they are certain to make sure Temple Newsham is rocking. The 18 year old has toured with the likes of JLS and Olly Murs and it is no surprise that her single "Need U" went to the top of the charts. Her follow up single "Heartless" is out soon and she is set to tour with Jessie J and The Wanted. Definitely a young talent to watch out for and an exciting act to catch at this year's Party In The Park. Stay tuned to Est.1987 where we will bring you all the latest news and updates.